We are in the midst of winter right now. It went below zero in temperatures on Christmas, and we've only had a couple of warm days since. 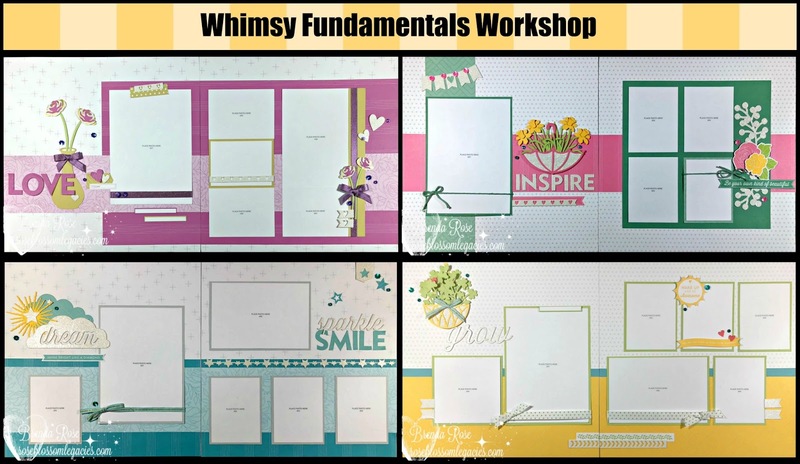 So I loved working on my bright and cheery Whimsy Fundamentals workshop! You will love having these bright pages in your scrapbook! It was so fun to add Cricut cuts along with the beautiful Whimsy complements. This workshop will hold 21 to 29 photos, as I am including Flip Flaps for the 5x7 photo spots. All the Extra Whimsy Fundamentals Paper! This workshop will be available for purchase through the months of February and March. The kits will begin shipping on Monday, February 12th. Thanks for popping today! I hope your week is most blessed! !